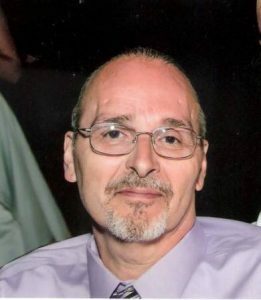 Interview with Author – John L.
You are here: Home / *Reading Room / Interviews With Authors / Interview with Author – John L.
I am a first time self-published author who has been in recovery for over twenty-nine years. Throughout this time, I’ve had the privilege of working with hundreds of people in treatment, both as a counselor and Grant Writer, trying to help them overcome their addictions. There are common denominators that I’ve witnessed firsthand with individuals (including myself when I was newly sober) – the inability to fully grasp the concepts and implications of the 12-Step process. This often has proved to be barriers in applying the steps into their daily lives. My motivation has and always has been to help people whether they’re in recovery or not. That’s why I wrote this book. I would be considered a seat of the pants writer. I wrote the original manuscript and every time I read the finished product, things would come to mind that I didn’t expound on. I would add the items and reread it again – more things would come to mind that I would add. I reread the manuscript at least a dozen times before I was finally satisfied. I then had a professional editor perform a line item edit looking for typos and punctuation errors with specific instructions not to change the language because of the many “Johnisms” throughout the manuscript that are phrases that I’m known for. I also made it clear that the book’s intent was to be read as if I was having a one on one conversation. After receiving his revisions I read the manuscript and found things that he missed. I then had my wife and close friend read it. I received their stamp of approval and went press. If you are writing a nonfiction piece with the specific purpose of helping people, be honest and let your heart speak for you. I went with the self publishing option because I considered what I had to say to be “time sensitive” given what is happening in my life at the moment (you’ll have to read the book to understand what that is). I feel that books are going to be self-published more and more in the future because it’s too hard for first time writers to be even acknowledged by the big publishers.